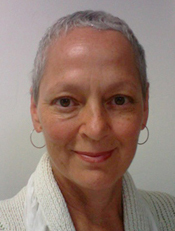 For over thirty years Elizabeth Lahey has been a serious student of yoga and Buddhism. From 1998—2001 she received foundational instructions from the Venerable Khandro Rinpoche at the Shambhala Centers in Colorado and has since maintained a daily mindfulness meditation. In 2008, she began deepening her studies, and practice with Michael Gregory and Phillip Hedrick, the principal teachers of Meditation Denver & Mindfulness Meditation Centers. She is currently a lead-meditation mentor for the Teacher Training Program (a 6-year intensive studies program), for MMC. Elizabeth attributes the mindfulness meditation instructions she received from her MMC teachers as the key source of grounding and tranquillity that allowed her to view her diagnosis of cancer in 2011 as an empowerment in compassion, tolerance, impermanence, and fearlessness. She is honored to have shared this powerful meditation instruction with those in the process of living with breast cancer at The Healing Chest Yoga Center in Denver Colorado, and on a private individual basis. An accomplished and award-winning artist, and graphic design professional, she has helped give shape to numerous book titles for Dharma Publishing, and Snow Lion Press. Elizabeth looks forward to leading meditation retreats in conjunction with UH Cleveland in Shaker Heights, Ohio where she recently relocated.